Tag Archives for " Pamela Wilson "
This is an excerpt from Master Content Marketing, a new book by Pamela Wilson of Rainmaker Digital/Copyblogger. If you’re not a working artist, this post may push you straight out of your comfort zone. The good news is that image creation (just like content creation and social media marketing) can be learned. I’ll share a few rules of thumb to guide you as you get started. When you combine the rules I’ll teach with practice, you’ll become more proficient with image creation over time. You may even find yourself looking forward to creating images! I believe that’s partly because images are processed in a different part of your brain than words. When you work on your images, you’re giving that hard-working verbal processing part of your brain a break. Your visual cortex is a small part of your brain that’s hidden toward the back of your head. But its effects are massive: it produces the reality you see all around you. And it’s fast: it processes visual information 60,000 times faster than words. Images “speak” a different language than words and convey their meaning faster, too. That’s why one of the most important things you can do to put a finishing touch on any piece of content is to add an image. One of your goals is to create content that gets noticed and read, and great images make us stop and look. There’s proof for this: a 2013 study by MDG Advertising showed that content featuring compelling images averages 94 percent more total views than content without. But images don’t just draw viewers — they boost understanding (and retention), too. The best images add meaning to the words you’ve written: they convey emotion, evoke an atmosphere, and communicate opinions. All this without words! It sounds like a tall order, but the information in this post will help you find and use images that do all that. You’ve spent time and effort writing an amazing article. Let’s put some icing on that cake with an image that draws attention to the content you created and helps boost comprehension, too. As young children, we all start out as artists. The difference between the art we made when we were kids and the art we make now is that when we were kids, we didn’t care about whether our images “worked.” We enjoyed creating them, and that was all that mattered. There’s no time like today to revisit your inner artist. And there are good business reasons to start adding images to your content. Image processing happens in a different part of the brain from where words are processed, so putting images with your words will engage more of your reader’s brain. Images are especially effective vehicles to activate associations. If you spark an experience or memory with your image, you can convey a meaning that goes well beyond the words on the page. Recreate those carefree “artist” days by blocking out time for image creation in your schedule. Some people like to “warm up” with images as the first thing they do when they get into their office in the morning. Others identify the times of day their minds seem to need a break from writing words or doing calculations, and they use those times to create images. What exactly do you want to accomplish with the image in your piece of content? What effect would you like it to have? Decide what you want to communicate from one of the categories above and choose an image as a vehicle for your message. Having this information in hand will make it easier to get through the next step without wasting time. Before I talk about where to look for images, I want to talk about where not to look for images. And to do that, I need to share a few words about copyright. Stick with me! It will be short. Literature, art, and photography are intellectual property which benefits from the protection of copyright. Finding an image floating around on the web doesn’t grant you the right to use it: someone owns it, and you may only use it if the owner gives you permission. This permission is often conditional. For example, you may be allowed to use an image to illustrate a point in a purely editorial context, but you may not be able to use it in a commercial context. I have known several people who have been sued for not paying attention to proper usage. They ended up owing thousands of dollars to the owner of an image because they used it without paying for it, thinking they had permission. These people didn’t set out to “steal” anything, but that’s exactly what they did. Never use a web browser’s image search function to find images to use in your content. It is too tempting to find the “perfect” rights-protected image there. I also recommend you avoid image-sharing services like Flickr. Yes, some photographers add a Creative Commons license to their images which grants permission to use it. But I knew someone who used an image with a Creative Commons license and then, later on, the photographer changed the license and my friend had to stop using the image. It was an image that had been used to sell one of her well-known products for many years, and she had to scramble to look for a replacement. Let’s keep you out of legal hot water and save you from future headaches, shall we? Here’s how to find images you have the right to use freely — images that will make your content more attractive and effective. Find a free stock photo you have the rights to use. Buy a high-quality stock photo you have the rights to use. You can also commission photography, of course, but that’s not very common for web content. Even major corporations use high-quality purchased stock photography. Let’s look at each of these three choices in detail. An important note: when looking at free stock photography, be sure to check the licensing on any image you use. In many cases, the image is free to use in exchange for crediting the photographer who provided it. Sites will specify what you need to say in the photo credit, so follow their directions carefully. Pixabay.com: Pixabay is my favorite free photo site because it’s the one that feels most like a paid site. It features easy-to-search photos, illustrations, and vectors. Pixabay images are vetted by a team of volunteer editors and do not require you to credit the photographer. Creating an account on the site will allow you quicker access to images, which you can download in a variety of sizes. Kaboompics.com: Kaboompics offers major image categories and has a search feature, too. Their image collection isn’t huge, but the images they do have are high-quality and quite large — large enough to be used for print design. The only thing you can’t do with Kaboompics images is to sell them: the site is devoted to keeping their images free. TheStocks.im: TheStocks is a collection of stock photo sites all in one place — the majority of which are free. You can use the interface to browse collections and get a feel for the quality and style of the photos available. Over the years that I’ve taught branding, I’ve met a few people who didn’t ever want to pay for the photography they used. And I have to confess I got more than a little impatient with them. You see, I have art directed more photo shoots than I can remember. And I know how much work happens to create the professional-level images featured on paid stock photography sites. Memorable images aren’t easy to create, and I think the hard work is worth paying for. Bigstock.com: I love the oversized images, advanced search features, and vast archive on this site. It’s my go-to when I need an image that stands out. Shutterstock.com: Polished, beautiful images with a robust search feature. Adobe Stock: A massive collection of high-quality images with a price range that reflects the quality (it’s on the high side). Worth looking through when you need a specific image that will be memorable. Here’s a radical idea. Chances are very good that you walk around every day with a camera close by in the form of your smartphone. What would happen if you began registering images of the world around you, a few photos at a time? Contrast: Look for color contrast, light and shadow contrast, size or texture contrast. Faces and emotions: Keep your finger on your camera button to capture expressions, emotions, and stolen glances that tell stories. Angles: Dramatic angles and a sense of perspective that draw your eye into the image make a boring image interesting. Sometimes all it takes is positioning yourself or your camera above, below, or to the side for the image to come to life. Some images just work: they complement your words; they add shades of meaning and entertainment value to your page. And some images? They’re boring, they send the wrong message, and they aren’t worth spending time deciphering. Start searching for one word, then narrow your results by adding words or subtracting. Searching a single word usually leads to an overwhelming number of results. Bring up the results from a single-word search, and see what you want more or less of. Most sites will allow you to add a minus sign before terms you don’t want to appear. If you’re getting a lot of results with children, for example, and you’re looking for an image of business people, add “-children” to the search box along with your original word. Use style terms. Adding specific words like “vintage,” “grunge,” “white background,” or “close up” will narrow down your results. You can also narrow your results by orientation, so you only see vertical or horizontal images. Step back and see what jumps out. When looking at a page of thumbnail images, ask yourself, “Which one stands out?” When an image holds its own among dozens of others, that’s a good sign that you’ve found a strong one. Consider your text. If you plan to add text to your image, look carefully to ensure there’s an open area on the photo that doesn’t have a lot of busy text underneath it, so your text will be readable. Consider where the image “points.” Many images look like they “point” a certain way. Sometimes a person in the image is looking off to the right, left, above, or below. Viewers will tend to follow their gaze. Sometimes the image has strong angles that send viewers’ eyes in a specific direction like they’re following an arrow. Make sure to use this to your advantage: position images so they draw viewers toward the text you want them to read. For more on this, read Point Out the Obvious with Images on Big Brand System. Use a single focal point for high drama. The most dramatic images have a single focal point: an obvious visual “star of the show.” Sometimes you can achieve this manually by cropping an image to remove extraneous elements and focus your viewers’ eyes. Even non-artists can put the power of images to work for their content and social media marketing. Need more guidance? Ask me your image-related questions in the comments! 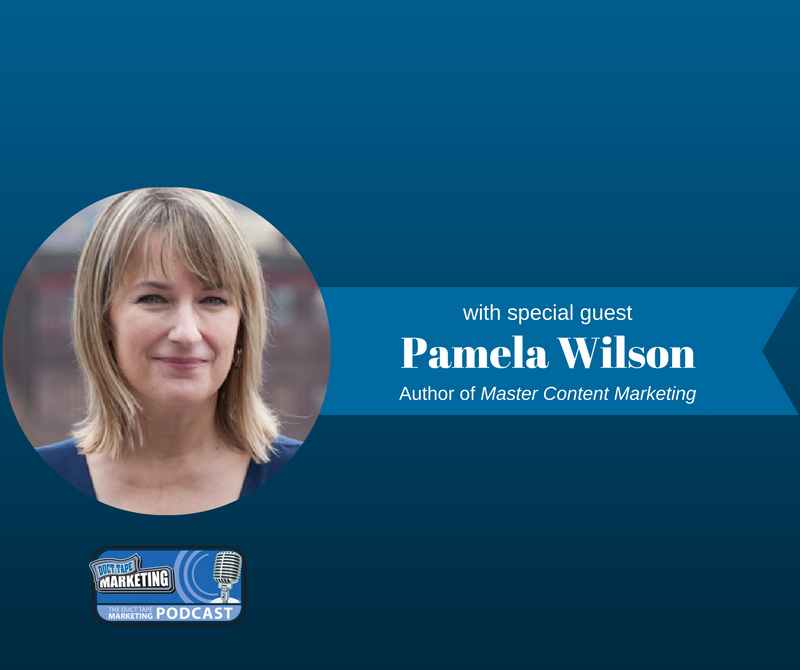 Pamela Wilson is the author of Master Content Marketing: A Simple Strategy to Cure the Blank Page Blues and Attract a Profitable Audience. 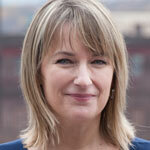 She’s Executive Vice President of Educational Content at Rainmaker Digital/Copyblogger. Find more from Pamela at Big Brand System. Thursday is guest post day here at Duct Tape Marketing and today’s guest is Pamela Wilson – Enjoy! Twenty years ago it was one of the most important means we had to market our businesses. Its death has been announced more than once in the past ten years. And today, using it can be a radical move that helps your business stand out from the crowd. I am speaking, of course, about printed marketing materials. The postcards, brochures, flyers, and newsletters that papered our world just a couple of decades ago have all but disappeared now. And that’s exactly why it might be time to reconsider them. Because while all your competitors are reaching out and touching their prospects’ inboxes, what would happen if you arrived in their mailboxes? If this sounds intriguing, read on for money-saving ideas and tips so you can explore the possibilities of print collateral to market your business. Well-designed letterhead, envelopes, and business cards make your company look polished and professional. You’ll be motivated to send out estimates, proposals and follow up letters when you know they’ll reflect favorably on your business. Postcards are inexpensive to print, and less expensive to mail than an envelope. Think about them as an opportunity to send content marketing to your prospects and customers: checklists, buying guides, how-tos, etc. They’re also the perfect place to make a special offer, which you can send them to your website to pick up (more on that later). Consider using oversized postcards to stand out in people’s mailboxes, and be sure to explore variable printing, which allows you to personalize and customize elements of the piece depending on who you’re sending it to. A beautifully-designed pocket folder has a multitude of uses. You can rely on it to help your business stand out when you’re making a sales proposal or presenting a report. If you keep it simple and remove your address and phone number (these can be on the paperwork inside) you can use your presentation folders for many years. This is a “print once, use for years” investment you won’t regret. Simple pre-printed note cards and envelopes that feature your logo will motivate you to send thank you notes, words of encouragement, and follow up notes to people you meet at networking events. Standard offset printing works best when you’re printing large quantities. 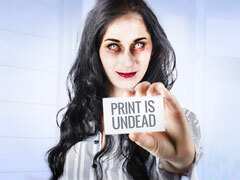 To print smaller runs, consider digital printing. Digital printing happens on machines that are large, sophisticated versions of the color laser printer you may have on your desktop. The quality is similar to traditional offset printing, but the cost is reduced. Consider using online printers for some of your print materials. Online printers “gang up” their print jobs: your artwork is placed next to other customers’ art on a large sheet, which saves everyone money. Finally, if you’re going to use print, make sure you integrate it with all your other marketing efforts. Start with the obvious: add your website address to all print materials. For promotional items like postcards, consider creating a custom landing page that’s visually similar to the piece you’re sending, and include the URL on your postcard so you can track visitors. Coupon codes which are exclusive to your postcard offer are another way to track who received your mailing and see who takes you up on your offer. With variable printing you can even use a different code on each card so you can track clicks to users. Print marketing materials are different than web marketing because they’re permanent — once it’s in print, you can’t modify it like you can a web page. This means taking extra care to proof your information carefully, and working with a graphic designer and printer who can help you bring your vision to reality. Precisely because print takes extra effort — and not as many marketers make this effort today — tangible print materials can help you stand out. Start small. If you don’t have a business card, work on that first. Once you’ve created those, consider a simple note card. Dip your toes in print marketing — because sometimes the most radical way to stand out is to create a tangible object people can see, touch, and hold onto. Pamela Wilson helps small business owners combine strategic marketing and great design to grow their businesses at Big Brand System. Thousands of small business owners have used her free Design 101 series to polish up their marketing. Want it? Just sign up for her free Marketing Toolkit here, and you’ll get the first lesson today.